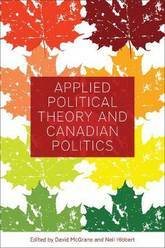 Bringing together political theorists and specialists in Canadian politics, Applied Political Theory and Canadian Politics combines conceptual frameworks from political theory and empirical evidence to offer fresh perspectives on political events in contemporary Canada. Examining complex and timely subjects such as equality, social justice, democracy, citizenship, and ethnic diversity, contributors present current and archival research supplemented with insights drawn from political theory to give readers a deep and nuanced understanding of increasingly pressing issues in Canadian society. 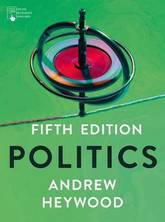 For scholars and students seeking a work of political theory that is tangible, focused, and connected to the real world of everyday politics, Applied Political Theory and Canadian Politics will be an important resource, combining philosophical insights and empirical evidence to enhance our understanding of contemporary Canadian politics. In his landmark international bestsellers Guns, Germs and Steel and Collapse, Jared Diamond transformed our understanding of what makes civilizations rise and fall. 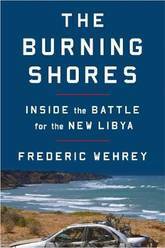 Now in the third book in this monumental trilogy, he reveals how successful nations recover from crisis. Diamond shows us how seven countries have survived defining upheavals in the recent past - from the forced opening up of Japan and the Soviet invasion of Finland to the Pinochet regime in Chile - through selective change, a process of painful self-appraisal and adaptation more commonly associated with personal trauma. Looking ahead to the future, he investigates whether the United States, and the world, are squandering their natural advantages and are on a devastating path towards catastrophe. Is this fate inevitable? Or can we still learn from the lessons of the past? 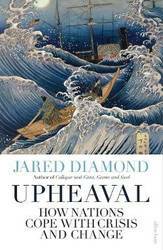 Exhibiting the awe-inspiring grasp of history, geography, economics and anthropology that marks all Diamond's work, Upheaval reveals how both nations and individuals can become more resilient. The result is a book epic in scope, but also his most personal yet. The pace of modern life is undoubtedly speeding up, yet this acceleration does not seem to have made us any more happy or content. 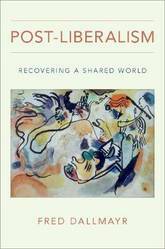 If acceleration is the problem, then the solution, argues Hartmut Rosa in this major new work, lies in resonance. The quality of a human life cannot be measured simply in terms of resources, options and moments of happiness: instead, we must consider our relationship to, or resonance with, the world.Applying his theory of resonance to many domains of human activity, Rosa describes the full spectrum of ways in which we establish our relationship to the world, from the act of breathing to the adoption of culturally distinct worldviews. 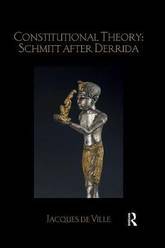 He then turns to the realms of concrete experience and action - family and politics, work and sports, religion and art - in which we as late-modern subjects seek out resonance. This task is proving ever more difficult as modernity's logic of escalation is both cause and consequence of a distorted relationship to the world, at individual and collective levels. 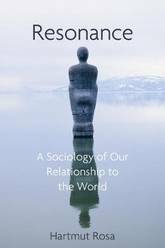 As Rosa shows, all the great crises of modern society - the environmental crisis, the crisis of democracy, the psychological crisis - can also be understood and analyzed in terms of resonance and our broken relationship to the world around us. Building on his now classic work on acceleration, Rosa's new book is a major new contribution to the theory of modernity, showing how our problematic relation to the world is at the crux of some of the most pressing issues we face today. 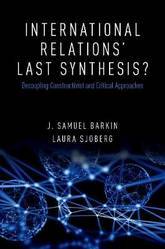 This bold renewal of critical theory for our times will be of great interest to students and scholars across the social sciences and humanities. This brilliantly innovative synthesis of narrative and analysis illuminates how British colonialism shaped the formation and political cultures of what became Northern Ireland and the Irish Free State. 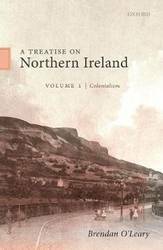 A Treatise on Northern Ireland, Volume I provides a somber and compelling comparative audit of the scale of recent conflict in Northern Ireland and explains its historical origins. Contrasting colonial and sectarianized accounts of modern Irish history, Brendan O'Leary shows that a judicious meld of these perspectives provides a properly political account of direct and indirect rule, and of administrative and settler colonialism. 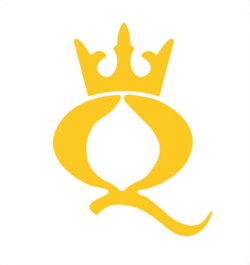 The British state incorporated Ulster and Ireland into a deeply unequal Union after four re-conquests over two centuries had successively defeated the Ulster Gaels, the Catholic Confederates, the Jacobites, and the United Irishmen-and their respective European allies. Founded as a union of Protestants in Great Britain and Ireland, rather than of the British and the Irish nations, the colonial and sectarian Union was infamously punctured in the catastrophe of the Great Famine. The subsequent mobilization of Irish nationalists and Ulster unionists, and two republican insurrections amid the cataclysm and aftermath of World War I, brought the now partly democratized Union to an unexpected end, aside from a shrunken rump of British authority, baptized as Northern Ireland. Home rule would be granted to those who had claimed not to want it, after having been refused to those who had ardently sought it. The failure of possible federal reconstructions of the Union and the fateful partition of the island are explained, and systematically compared with other British colonial partitions. Northern Ireland was invented, in accordance with British interests, to resolve the 'hereditary animosities' between the descendants of Irish natives and British settlers in Ireland. In the long run, the invention proved unfit for purpose. Indispensable for explaining contemporary institutions and mentalities, this volume clears the path for the intelligent reader determined to understand contemporary Northern Ireland. 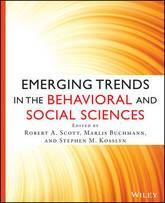 A major new online reference work, Emerging Trends in the Social and Behavioral Sciences: Interdisciplinary Perspectives contains individual essays from both established scholars and rising stars. 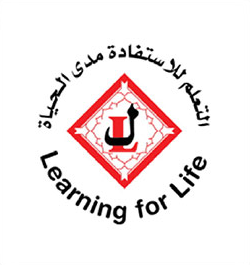 Links in each entry direct users to other relevant entries, often in other disciplines and specialties, thereby creating an intelligent multidimensional system of cross-referencing. Thoughtfully constructed with a multidimensional system of cross-referencing, this innovative reference work allows users to consider emerging trends in the social and behavioral sciences from multiple levels of analysis and from different disciplinary perspectives Focuses on five core social and behavioral science disciplines: anthropology, economics, political science, psychology and sociology - with additional entries in related fields such as education and communications studies Reviews and summarizes the current state of knowledge on each key topic in the social and behavioral sciences, maps emerging trends, and identifies new, promising lines of research Editorial Board members and contributors such as Jacque Eccles, University of Michigan (Psychology); Marlis Buchman, University of Zurich (Sociology); and David Laibson, Harvard (Economics) are recognized globally as experts in their fields www.wileyonlinelibrary.com/ref/emergingtrends Following initial publication, essays will be updated periodically to reflect new developments and new essays will be added. This book offers new perspectives on the origins and development of John Ruskin's political thought. Graham A. MacDonald traces the influence of late medieval and pre-Enlightenment thought in Ruskin's writing, reintroducing readers to Ruskin's politics as shaped through his engagement with concepts of natural law, legal rights, labour and welfare organization. 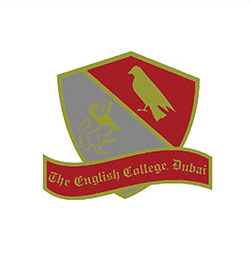 From Ruskin's youthful studies of geology and chemistry to his back-to-the-land project, the Guild of St. George, he emerges as a complex political thinker, a reformer-and what we would recognize today as an environmentalist. 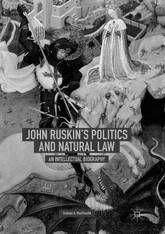 John Ruskin's Politics and Natural Law is a nuanced reappraisal of neglected areas of Ruskin's thought. 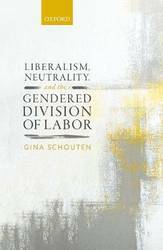 This book defends progressive political interventions to erode the gendered division of labor as legitimate exercises of coercive political power. The gendered division of labor is widely regarded as the linchpin of gender injustice. The process of gender equalization in domestic and paid labor allocations has stalled, and a growing number of scholars argue that, absent political intervention, further eroding of the gendered division of labor will not be forthcoming anytime soon. Certain political interventions could jumpstart the stalled gender revolution, but beyond their prospects for effectiveness, such interventions stand in need of another kind of justification. In a diverse, liberal state, reasonable citizens will disagree about what makes for a good life and a good society. Because a fundamental commitment of liberalism is to limit political intrusion into the lives of citizens and allow considerable space for those citizens to act on their own conceptions of the good, questions of legitimacy arise. Legitimacy concerns the constraints we must abide by as we seek collective political solutions to our shared social problems, given that we will disagree, reasonably, both about what constitutes a problem and about what costs we should be willing to incur to fix it. The interventions in question would effectively subsidize gender egalitarian lifestyles at a cost to those who prefer to maintain a traditional gendered division of labor. In a pluralistic, liberal society where many citizens reasonably resist the feminist agenda, can we legitimately use scarce public resources to finance coercive interventions to subsidize gender egalitarianism? This book argues that they can, and moreover, that they can even by the lights of political liberalism, a particularly demanding theory of liberal legitimacy. 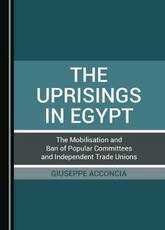 By adopting Social Movement Theories (SMT) as a basic framework to analyze the 2011 uprisings in the Middle East, this book disentangles the role of alternative networks and other forms of political conflict with reference to the Egyptian case in mobilising and forming a potential revolutionary movement. During the 2011 uprisings in Egypt, the Muslim Brotherhood monopolised the space of dissent, preventing the formation of common identities among the protesters. Particularly social actors in the Egyptian Street and other opposition groups did not find any place within the post-uprisings government and have been demobilised by the politics and political discourse of a pseudo Neo-Nasserism, implemented by the regime after the 2013 military coup. 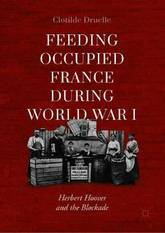 This book examines the history of Herbert Hoover's Commission for Relief in Belgium, which supplied humanitarian aid to the millions of civilians trapped behind German lines in Belgium and Northern France during World War I. Here, Clotilde Druelle focuses on the little-known work of the CRB in Northern France, crossing continents and excavating neglected archives to tell the story of daily life under Allied blockade in the region. She shows how the survival of 2.3 million French civilians came to depend upon the transnational mobilization of a new sort of diplomatic actor-the non-governmental organization. Lacking formal authority, the leaders of the CRB claimed moral authority, introducing the concepts of a humanitarian food emergency and humanitarian corridors and ushering in a new age of international relations and American hegemony. 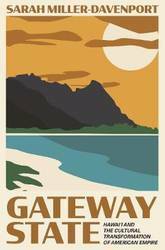 How Hawai'i became an emblem of multiculturalism during its journey to statehood in the mid-twentieth century Gateway State explores the development of Hawai'i as a model for liberal multiculturalism and a tool of American global power in the era of decolonization. The establishment of Hawai'i statehood in 1959 was a watershed moment, not only in the ways Americans defined their nation (TM)s role on the international stage but also in the ways they understood the problems of social difference at home. Hawai'i (TM)s remarkable transition from territory to state heralded the emergence of postwar multiculturalism, which was a response both to independence movements abroad and to the limits of civil rights in the United States. Once a racially problematic overseas colony, by the 1960s, Hawai'i had come to symbolize John F. Kennedy (TM)s New Frontier. This was a more inclusive idea of who counted as American at home and what areas of the world were considered to be within the U.S. sphere of influence. Statehood advocates argued that Hawai'i and its majority Asian population could serve as a bridge to Cold War Asia and as a global showcase of American democracy and racial harmony. In the aftermath of statehood, business leaders and policymakers worked to institutionalize and sell this ideal by capitalizing on Hawai'i (TM)s diversity. Asian Americans in Hawai'i never lost a perceived connection to Asia. Instead, their ethnic difference became a marketable resource to help other Americans navigate a decolonizing world. As excitement over statehood dimmed, the utopian vision of Hawai'i fell apart, revealing how racial inequality and U.S. imperialism continued to shape the fiftieth state and igniting a backlash against the islands (TM) white-dominated institutions. 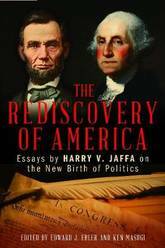 Harry V. Jaffa (1918-2015), one of the profoundest political thinkers of his time, is known most prominently for his pathbreaking work on Abraham Lincoln. Jaffa, who taught for 50 years at the Claremont Colleges and was a Distinguished Fellow of the Claremont Institute, sought to produce a revolution in political philosophy by applying Strauss's controversial thinking about natural right, Scripture, and human greatness to American politics. In these 10 essays, beginning in the 1980s, Jaffa rediscovered the moral and intellectual complexity of statesmanship, in particular that of Lincoln and the American founders. The essays reveal the profundity of the Declaration of Independence, in observations both theoretical (e.g., Aristotle and Aquinas) and practical (e.g., campus radicalism). Jaffa takes aim at the interpretations of America made by some of Leo Strauss's students, chastising their imputation of radically liberal theorizing to the Declaration and their ignorance of the meaning of all men are created equal. The Declaration's radicalism lies rather in its synthesis of ancient political philosophy and Scriptural authority on the good human life. Jaffa is particularly critical of Allan Bloom and, in previously unpublished essays, Irving Kristol and Harvey Mansfield for their errors about America. Jaffa's essays recover political philosophy in its political and philosophic dimensions so that it can be a continuing guide for our politics today. Hegel is making a comeback. After the decline of the Marxist Hegelianism that dominated the twentieth century, leading thinkers are rediscovering Hegel's thought as a resource for contemporary politics. What does a notoriously difficult nineteenth-century German philosopher have to offer the present? How should we understand Hegel, and what does understanding Hegel teach us about confronting our most urgent challenges? 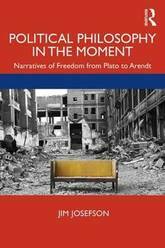 In this book, Todd McGowan offers us a Hegel for the twenty-first century. 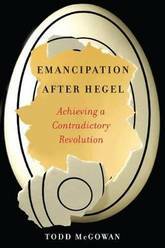 Simultaneously an introduction to Hegel and a fundamental reimagining of Hegel's project, Emancipation After Hegel presents a radical Hegel who speaks to a world overwhelmed by right-wing populism, authoritarianism, neoliberalism, and economic inequalities. McGowan argues that the revolutionary core of Hegel's thought is contradiction. He reveals that contradiction is inexorable and that we must attempt to sustain it rather than overcoming it or dismissing it as a logical failure. McGowan contends that Hegel's notion of contradiction, when applied to contemporary problems, challenges any assertion of unitary identity as every identity is in tension with itself and dependent on others. An accessible and compelling reinterpretation of an often-misunderstood thinker, this book shows us a way forward to a new politics of emancipation as we reconcile ourselves to the inevitability of contradiction and find solidarity in not belonging. This book uses historical analysis, constitutional economics, and complexity theory to furnish an account of city subsidiarity as a legal, ethical, political, and economic principle. The book contemplates subsidiarity as a constitutional principle, where cities would benefit from much wider local autonomy. Constitutional economics suggests an optimal limit to jurisdictional footprints (territories). This entails preference for political orders where sovereignty is shared between different cities rather states where capital cities dominate. The introduction of city subsidiarity as a constitutional principle holds the key to economic prosperity in a globalizing world. Moreover, insights from complexity theory suggest subsidiarity is the only effective response to the `problem of scale.' It is a fitness trait that prevents highly complex systems from collapsing. The nation-state is a highly complex system within which cities function as `attractors.' The collapse of such systems would ensue if there were strong coupling between attractors. Such coupling obtains under legal monism. Only subsidiarity can make the eventuality of collapse improbable. 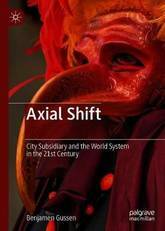 The emergent and self-organizing properties of subsidiarity entail a shift in policy emphasis towards cities with a wide margin of autonomy. 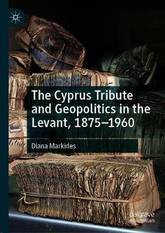 This book examines the history of the Cyprus Tribute, and takes a longer and broader view of the issue than previous studies. It analyses the regional context of the decision to use revenue surpluses for the repayment of debt within the framework of the Eastern Question and Ottoman bankruptcy. We see that the island was always strategically and financially overshadowed by Egypt. Scrutinising political developments in Cyprus through the prism of the tribute issue facilitates a better understanding of its considerable effect on them. The absence of any imperial role for Cyprus as a 'place d'armes' meant that there was no imperial interest in funding the infrastructural development of the island. British policy was treasury-driven. 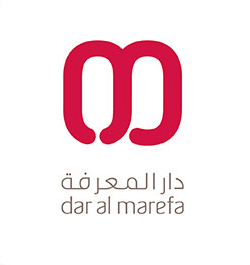 Diana Markides analyses why it failed, and how its failure resulted in the local colonial government having to impose a deeply unpopular fiscal policy, for which there was no adequate explanation. 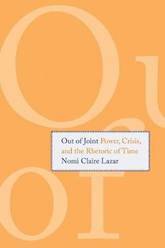 She examines the extent to which local resistance to this policy affected not only constitutional development on the island and Anglo-Cypriot relations, but the nature of the relations between the two major communities. 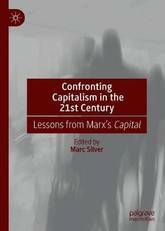 This book analyzes key aspects of Marx's Capital with an eye towards its relevance for an understanding of issues confronting us in the 21st Century. The contributions to this volume suggest that while aspects of Marx's original analysis must be adjusted to take into account changes that have occurred since its initial publication in 1867, his overall perspective remains necessary for understanding the nature of crises in 21st century. Part I emphasizes the central concepts Marx employed in Capital, including exploitation, capital accumulation, commodity fetishism, and his use of dialectics as a method for baring the underlying relations that define capitalism. Parts II and III extend that focus by addressing the concept of value, fictitious capital, credit and financialization. Parts IV and V offer analyses of several concrete manifestations of contemporary crises from national contexts (Europe, Latin America, China, and the United States). The volume argues that we have to combat the imperatives of capitalism to move towards a more humane and egalitarian future. 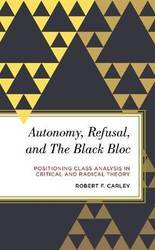 Autonomy, Refusal, and The Black Bloc reinterprets the positioning of critical and radical theory by focusing squarely on the role of class analysis. It also argues that the survivance of The Frankfurt School style of critique is wholly dependent upon the traditions of radical theory that find their same departure point from out of the great refusals of the 1960s and 1970s. By linking together the traditions of critical and radical theory through the work of Marcuse and Negri and by demonstrating their conjunctural and historiographical connections, Carley argues that the inventive strategic and organizational contexts that give rise to the black bloc tactic constitute a new political expression of class and, more forcefully, constitute the meaning of class politics for the late 20th and 21st century. 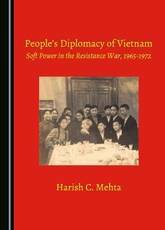 This is the first full-length book on the concept of People's Diplomacy, promoted by the president of North Vietnam, Ho Chi Minh, at the peak of the Vietnam War from 1965-1972. It holds great appeal for historians, international relations scholars, diplomats, and the general reader interested in Vietnam. A form of informal diplomacy, people's diplomacy was carried out by ordinary Vietnamese including writers, cartoonists, workers, women, students, filmmakers, medical doctors, academics, and sportspersons. They created an awareness of the American bombardment of innocent Vietnamese civilians, and made profound connections with the anti-war movements abroad. People's diplomacy made it difficult for the United States to prolong the war because the North Vietnamese, together with the peace movements abroad, exerted popular pressure on the American presidents Lyndon Johnson and Richard Nixon to end the conflict. It was much more effective than the formal North Vietnamese diplomacy in gaining the support of Westerners who were averse to communism. It damaged the reputation of the United States by casting North Vietnam as a victim of American imperialism. J rgen Habermas and John Rawls are perhaps the two most renowned and influential figures in social and political philosophy of the second half of the twentieth century. In the 1990s, they had a famous exchange in the Journal of Philosophy. Quarreling over the merits of each other's accounts of the shape and meaning of democracy and legitimacy in a contemporary society, they also revealed how great thinkers working in different traditions read--and misread--one another's work. In this book, James Gordon Finlayson examines the Habermas-Rawls debate in context and considers its wider implications. 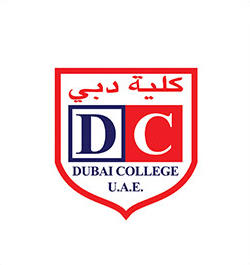 He traces their dispute from its inception in their earliest works to the 1995 exchange and its aftermath, as well as its legacy in contemporary debates. Finlayson discusses Rawls's Political Liberalism and Habermas's Between Facts and Norms, considering them as the essential background to the dispute and using them to lay out their different conceptions of justice, politics, democratic legitimacy, individual rights, and the normative authority of law. 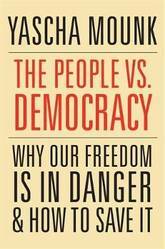 He gives a detailed analysis and assessment of their contributions, assessing the strengths and weaknesses of their different approaches to political theory, conceptions of democracy, and accounts of religion and public reason, and he reflects on the ongoing significance of the debate. 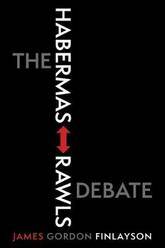 The Habermas-Rawls Debate is an authoritative account of the crucial intersection of two major political theorists and an explication of why their dispute continues to matter. The change in our ancestors' behaviour was barely perceptible at first. Only a few clues in the archaeological record - sea shells, ochre and stone tools carried over long distances - hint at what was to come. From such simple barter arose a network of interdependence and exchange that spans the planet - and which lifted most of our species out of the grinding poverty of the past. But for much of history this engine of progress stalled, with societies rigged in the interests of small parasitic elites. From the Greeks and Romans in antiquity, to China, India and Europe in the Middle Ages, the history of the world can be written as the constant struggle between the productive and the parasitic. Progress Vs Parasites charts this struggle. Those societies that flourished were those within which the productive had been set free. Empires rise and fall according to the parasitic burden they carry. 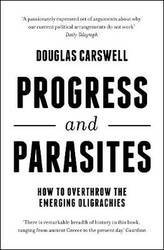 It is the idea of freedom, Carswell argues, that ultimately allows the productive to escape the parasitic - and thus decides whether a society flourishes or flounders. A robust defence of classical liberalism, Progress Vs Parasites shows that greatest threat to human progress today - as it has been in every age - is the idea that human affairs need to be ordered by top down design. Liberal democracy is the dominant political ideology in the West today. Taken at face value it suggests an equivalency between its two central components-liberalism and democracy-but as Fred Dallmayr argues here, the two operate in very different registers. The two frequently conflict, endangering our public life.This is evident in the rise of self-centered neo-liberalism as well as autocratic movements in our world today. More specifically, the conflict within liberal democracy is between the pursuit of individual or coporate interest, on the one hand, and a people increasingly fractured by economic and cultural clashes, on the other. 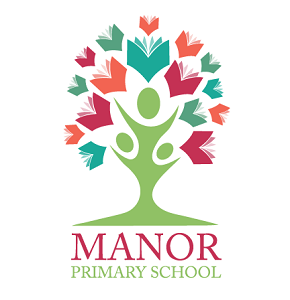 Dallmayr asks whether there is still room for genuine privacy and authentic democracy when all public goods, from schools to parks, police, and armies, have been made the target of privatization. 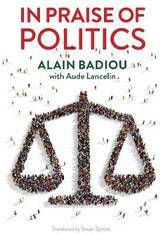 In this book, Dallmayr sets out to rescue democracy as a shared public and post-liberal regime. Nonetheless, post-liberalism does not involve the denial of human freedom nor does it suggest the endorsement of illiberal collectivism or nationalism. Drawing on a wide range of contemporary political, religious, and secular thought, Dallmayr charts a possible path to a liberal socialism that is devoid of egalitarian imperatives and a private sphere free from acquisitiveness. China's reform era is ending. Core factors that characterized it-political stability, ideological openness, and rapid economic growth-are unraveling. Since the 1990s, Beijing's leaders have firmly rejected any fundamental reform of their authoritarian one-party political system, and on the surface, their efforts have been a success. 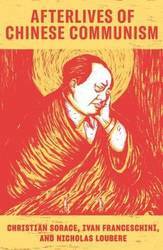 But as Carl Minzner shows, a closer look at China's reform era reveals a different truth. Over the past three decades, a frozen political system has fueled both the rise of entrenched interests within the Communist Party itself, and the systematic underdevelopment of institutions of governance among state and society at large. Economic cleavages have widened. Social unrest has worsened. Ideological polarization has deepened. Now, to address these looming problems, China's leaders are progressively cannibalizing institutional norms and practices that have formed the bedrock of the regime's stability in the reform era. 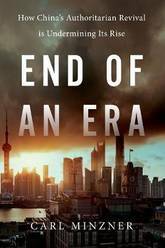 End of an Era explains how China arrived at this dangerous turning point, and outlines the potential outcomes that could result.